The Fundamentals of Endoscopic Surgery™ (FES) Program is a test of knowledge and skill in flexible gastrointestinal (GI) endoscopy. 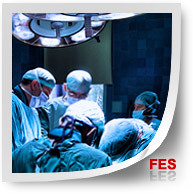 FES is the flexible endoscopy equivalent of the Fundamentals of Laparoscopic Surgery™ (FLS) Program and is designed to set a benchmark for the knowledge and skills required to form a foundation for the practice of flexible endoscopy. The educational module consists of a web-based multimedia presentation of didactic content. The FES assessment includes two components, a computer-based cognitive assessment and a performance-based manual skills assessment which is performed on a virtual reality simulator, the GI Mentor II, GI Bronch Mentor or GI Mentor Express, all proprietary pieces of hardware developed by 3D Systems – Simbionix. 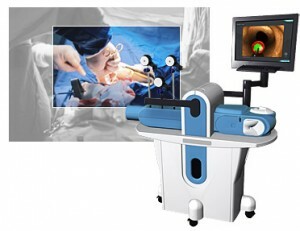 To provide medical and surgical residents, fellows, gastroenterologists and practicing surgeons with an opportunity to learn the fundamentals of gastrointestinal endoscopy in a consistent, scientifically accepted format; and to create a tool to test cognitive knowledge, technical skills and clinical judgment, all with the overarching goal of improving the quality of patient care.